This song titled "On my way" is a taking over song that speaks of how strong we are when God is involved. 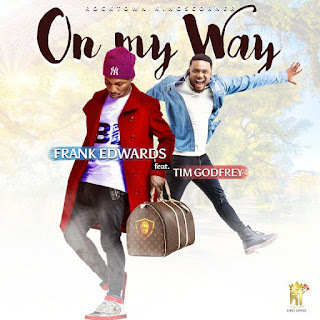 Shortly after dishing out two groovy tracks ‘Mma Mma (Repraise)’ & ‘Correct‘, Frank Edwards releases yet another new single titled On My Way... ft, Tim Godfrey. The SMJ produced track is a trap gospel sound featuring multi-talented creative singer and CEO Rox Nation, Tim Godfrey.